This weekend I visited two statues in the District I’ve been meaning to see for a long time now. Sometimes it takes an out-of-town visitor to make it happen, and luckily I had a great one – my friend and former co-worker Heather, who was visiting from Johannesburg. There she’s known better as 2Summers, which is a fantastic blog about life in South Africa – but particularly about the under-appreciated city of Johannesburg. 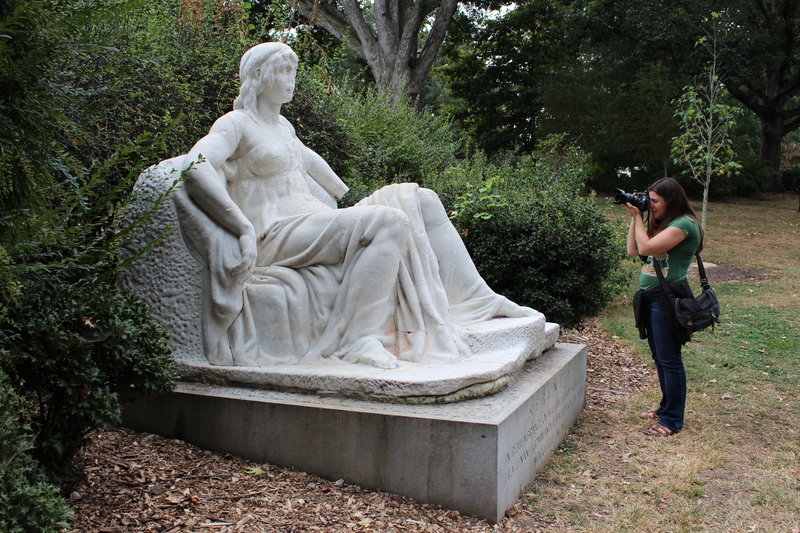 She calls herself a destination advocate, which is how I feel about D.C.
One of our destinations on this trip was Meridian Hill Park (also known as Malcolm X), for a photography session with some of the park’s eclectic statues. The one she was particularly interested in learning more about is almost hidden in the northwest part of the park, and is called Serenity. It looks like a weathered, marble Greek goddess from antiquity, but it turns out she’s much younger – only the years have not been kind to her. And neither have Washingtonians. Washington, D.C. has always been a special place to commemorate Memorial Day. There’s the wreath laying and decorating of graves across the river at Arlington Cemetery, the parade down Constitution Avenue, the concert on the Mall, and tributes at the various war memorials. And there’s the omnipresent rumble of motorcycles as Rolling Thunder rides into town. But if you venture beyond the Mall and into one of the District’s historic neighborhoods, you can pay tribute to the very beginnings of Memorial Day and the man who helped to start it all – General John A. Logan. 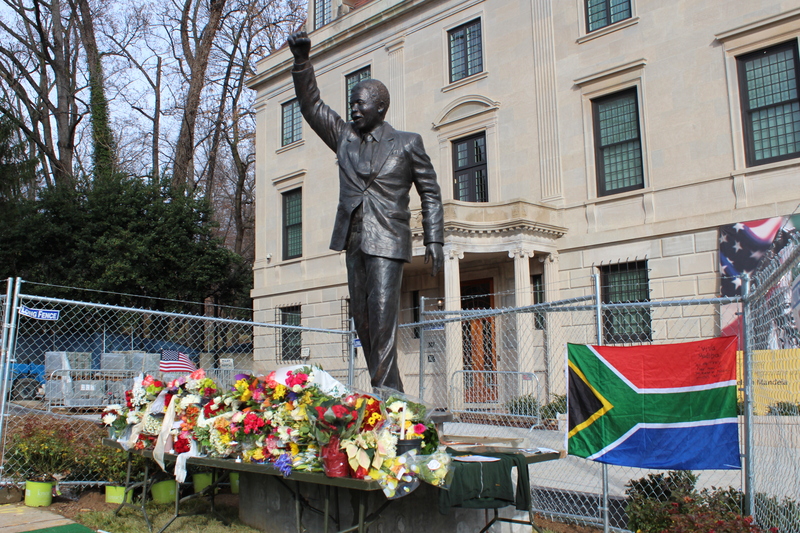 His impressive statue is the centerpiece of Logan Circle, which is probably the most beautiful circle in the city. It’s also one of the most residential, and is more often the site of picnics, dog-walking, and bocce ball than official ceremonies. 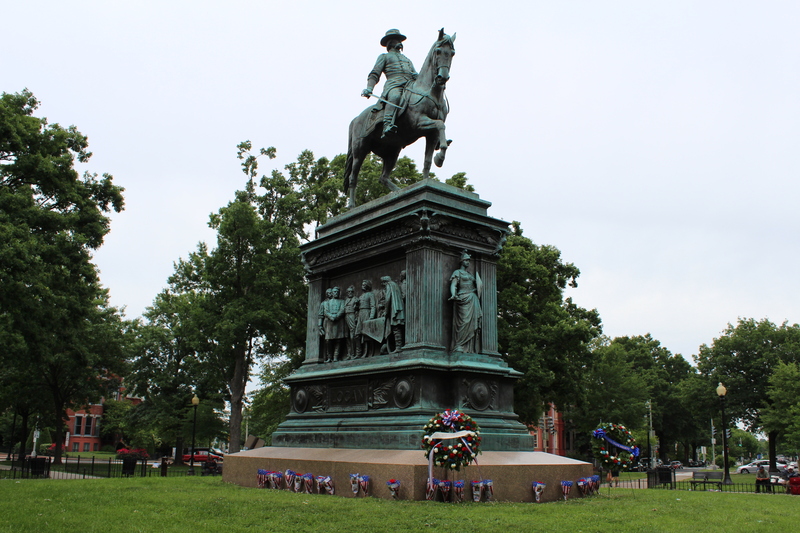 But each year on Memorial Day there is a small but meaningful commemoration in the park, with a wreath laying at the base of the statue sponsored by the Logan Circle Community Association, the Illinois State Society of Washington, D.C., and the National Park Service. This year there was an Army Color Guard and a concert by a Marine Corps band. Who was General John A. Logan, and what does he have to do with Memorial Day? 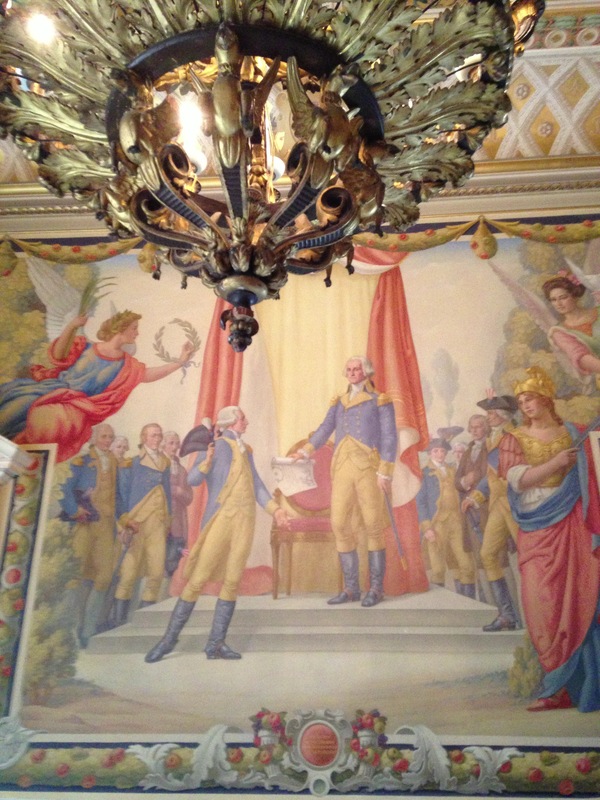 One of the more interesting things for visitors to see in the Capitol is the National Statuary Hall Collection. It consists of 100 statues placed throughout the building – two donated by each state to commemorate people who have had an impact on their state and the nation. While most of the statues are traditional marble sculptures of the usual suspects in U.S. history, the collection has also changed with the times. Since 2000, states are allowed to even replace their statues if they so choose – which has happened three times already. 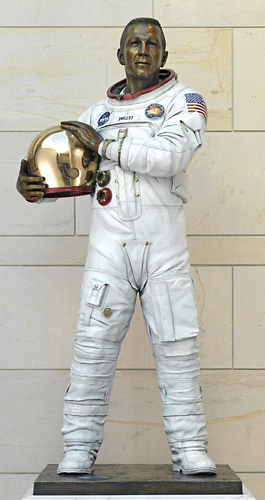 Walking through the halls of the Capitol now, there are a few statues that manage to surprise. There are the modern – like Utah’s “Father of Television” Philo T. Farnsworth, or Colorado astronaut John L. “Jack” Swigert, Jr. There are the women – like Alabama’s Helen Keller and Montana’s Jeanette Rankin. There are the Native Americans and Pacific Islanders – like New Mexico’s Po’pay and Hawaii’s King Kamehameha I. And there are even the Confederates – like Mississippi’s Jefferson Davis and Virgnia’s Robert E. Lee. But there are limits to the breadth of the official collection. So far there are no African-Americans among the 100 statues, and there are no contributions from the District of Columbia. That could soon change, with a statue of Frederick Douglass that will be heading to the Capitol. When you’re a tour guide in Washington, D.C., you never know what you’ll encounter. Any given day, the nation’s capital plays host to all kinds of groups, protests, parades, and commemorations. One Sunday a couple of weeks ago, I was guiding a Japanese tour through the city when we encountered a pretty unusual sight in front of the Capitol building. 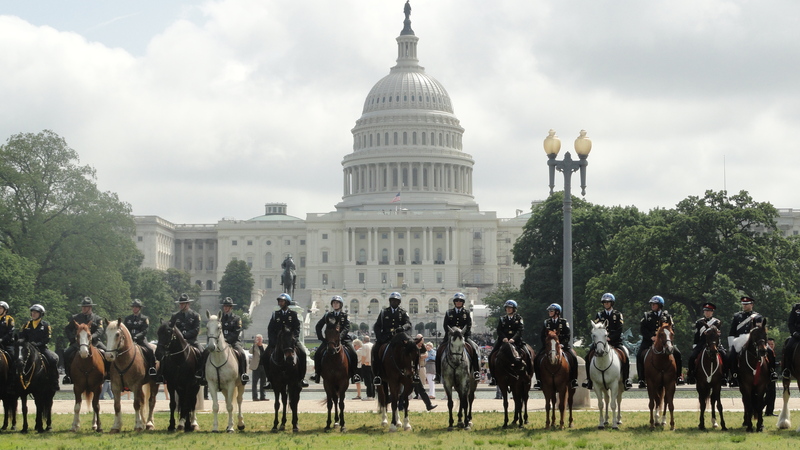 A row of about 25 policemen on horses, lined up across the National Mall. The officers were from all different regions of the country, wearing distinct state uniforms and riding different breeds of horses. It made a great sight, especially with the statue of Civil War General and President Ulysses S. Grant astride his own horse looming just behind them. Turns out, it was National Police Week, and that Sunday was Peace Officers Memorial Day.